Don’t miss an opportunity to step into the shoes of 19th century prisoner and take a guided tour of The Old Dubbo Gaol after hours. Watch out for the Gaol’s resident ghosts and funny characters as you take a torch light tour, with a theatrical twist. The Twilight Tour is fun for the whole family. 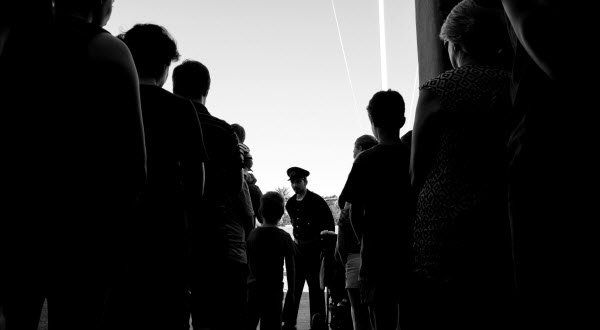 Tickets to the Twilight Family Night Tour also include general day entry to Old Dubbo Gaol either the day of or the day after your tour. 1. Payment for a Twilight Tour is non-refundable. All sales are final and amendments or exchanges cannot be made. 2. The purchase of this ticket includes Twilight Tour and a full day general admission on the same date or the following date of selected session only. 3. Latecomers will not be admitted after the tour has started. Please arrive at 6:45pm for Roll Call. The tour starts at 7:00pm. 4. All prices displayed are in Australian Dollars (AUD$) and are inclusive of GST. 5. Students and children, who are under 18 years of age, must be accompanied by a responsible adult. 6. The right of admission is reserved by the Manager, Operations Supervisor and Gaol Staff at the Old Dubbo Gaol. 7. Admittance to all customers bearing Twilight Tour Tickets will only be granted upon production to Gaol Staff of relevant ID on the night of the Twilight Tour. 8. Failure to produce appropriate ID may result in the patron being refused admission. 9. Minimum numbers required to run Night Tours, if minimum numbers are not met the tour may be cancelled by the Operations Supervisor and ticket money (excluding booking fees) refunded.